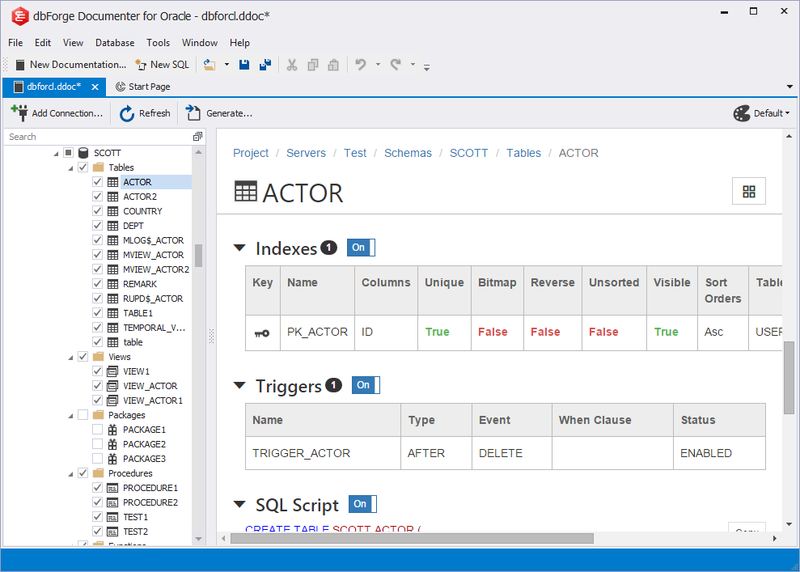 dbForge Documenter for Oracle extracts an extensive database info about all Oracle objects, including their details, properties, SQL scripts, and inter-object dependencies. The database is presented as a neat navigation tree. Each item of the tree allows displaying properties of each database object as a skinned HTML list. 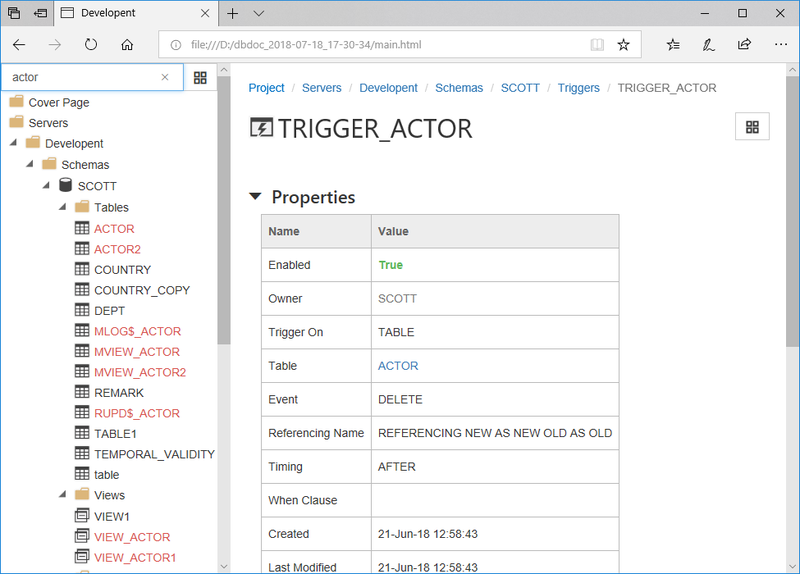 You can select database objects and properties for each individual object to be included in the documentation. You also get a number of style templates as well as the ability to apply your own themes to get a nice-looking layout. 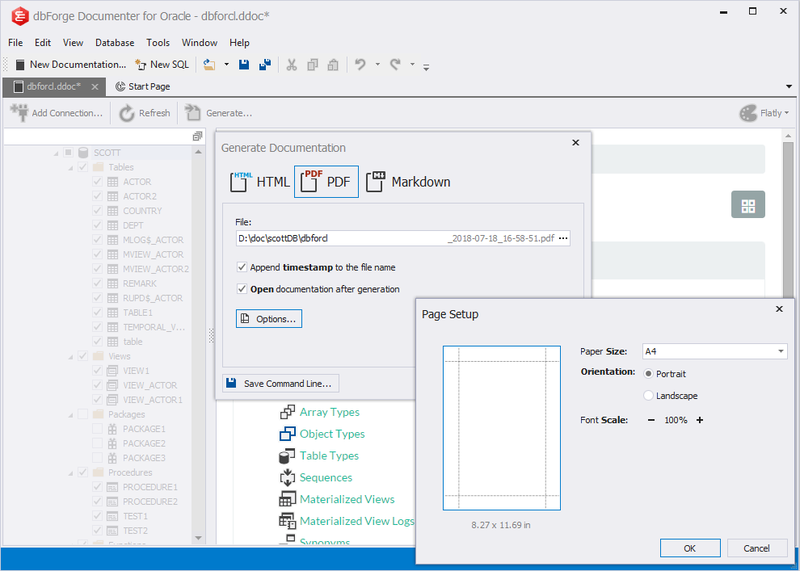 Documenter for Oracle can generate documentation in HTML, PDF, and MARKDOWN file formats. All formats are searchable, which makes navigation through large documents a way easier. Type the name of an object you are looking for in the generated document file, and the matching text will be highlighted in the object tree. You can also navigate throughout the documentation with the built-in breadcrumbs. dbForge Documenter for Oracle also comes with the support for the command line interface. Thus, you can use the Windows task scheduler to set up automatic database documenting. The tool also allows creating a command line execution file (.bat) to run the routine database documenting tasks in a single click. As always, we provide a free 30-day trial for the tool. 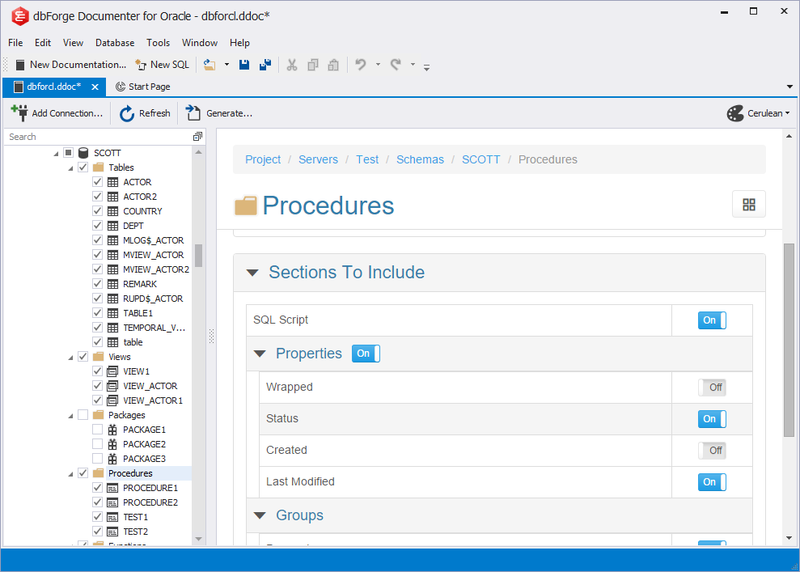 So, we invite you to download the new tool right now, and enjoy seamless Oracle database documenting! We would also like to know your thoughts about the tool – leave a feedback about dbForge Documenter for Oracle and help us to make it better!